I would like the macerator unit in the downstairs toilet removed and replace with a standard outlfow pipe to the main stack pipe. This will require digging a channel approx 2.5 meters under the concrete base of the ground floor and the current pipes would need to be disconnected or removed. Its always very difficult to estimate the time a job will take without seeing it, some more difficult than others and i would say digging up a concrete floor definately falls well within this catagory, however i would set aside at least two days for this kind of job they may not turn out to be full days but im assuming the floor needs to be re-instated and thats what ive based my very rough estimate on. We have tradesmen ready to help you. Post a job, read reviews and hire today. 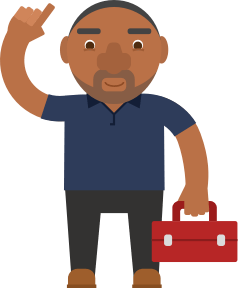 Post a job on MyBuilder to find quality, local Plumbers who can help you with your project. How long should it take to replace an old combi boiler with a new combi boiler? How long would it take approximately to convert a garage to a bedroom with ensuite? How long does it take for a tradesmen to provide a written quote? How much would it cost to take out a bedroom window and replace with French Windows?